Science fiction or our future to help avoid bent, cracked, and destroyed wheels. We know tires are flexible but wheels too? Transcript: Flexible wheels that bend but don't break. Michelin and Maxion Wheels have created this flexible wheel. To eliminate road-based damage to tires and rims. The Maxion flexible wheels are made with Michelin Acorus Tech. Designed with rubber so that they bend instead of break, they absorb impact from potholes and curbs. Maxion Wheels says this flexibility also improves ride comfort. 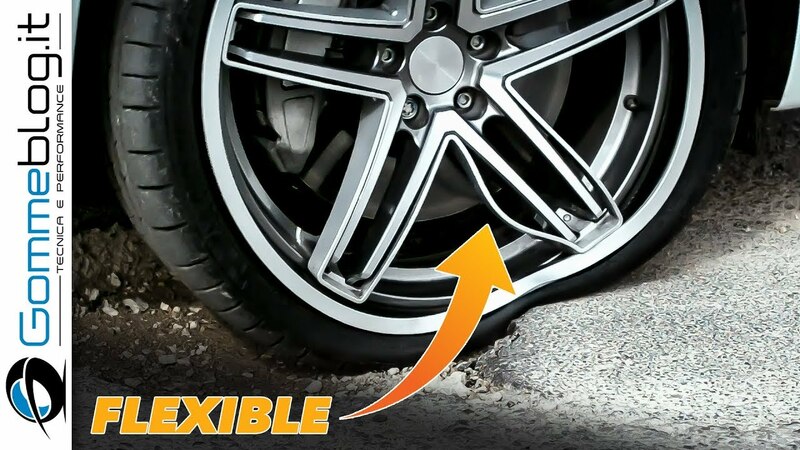 The flexible wheel is designed to work with any brand of tire. With the steel belts in the tires this is going to cause more shifted belts. I have shifted belts in several of my cars. I actually am replacing tires on a car with only 5K on the tires and the belts have been shifted and there is no other option other than to replace them. They are Continental Sport Contact 5P Tires and I would not recommend them. I am going with a new set of Michelin Pilot Sport 4S tires and will be fitting them on Tuesday. I will see how they are and let everyone know. I believe they may be on the ME as well. Does anyone know where the pictures of the tires were I cannot seem to find them? Here they are. Last edited by Frenzy36; 02-10-2019, 08:23 PM. I would have to imagine that if michelin ever produces and offers these wheels and tires that they will have to be safe? i usually end up buying a new set of rims every 20k miles due to potholes etc so this new invention intrigues me. Last edited by JB; 02-11-2019, 08:03 PM. Michelin will not be their entire company on a technology that is not safe. This concept will be tested and rested under every pavement and driving circumstance conceivable. And then tested some more to ensure that they are safe for the average poor driver even while they are flexing. I agree with JB it is mind bending. Only a small portion of the wheel bending so don’t know how it would affect handling. I have no idea about Frenzy36’s comment on belt shifting but would think they would figure it out to where it’s no more of a problem than with current product. Wonder how tough mounting would be. The concept of flexible wheels is as counter-intuitive as the idea of a "flex frame" automobile that bends itself around corners better. I think that this idea is pretty cool for the street. I remember those funky looking wheel tire combos where the wheel and tire were multiple spokes with a ton of flexibility and even more ugliness. I would think that this design would not be a good thing for the track, but daily driving would be ok.